Australia, get ready for the very first festival edition of Sensation Celebrate Life! Watch as the world’s most famous DJs take the stage as we transform the Spotless Stadium into one of the world’s biggest nightclubs just for one day! Get ready for deadmau5, Dimitri Vegas & Like Mike, Don Diablo, Fedde Le Grand, Gareth Emery, Mr. White, Oliver Heldens, Showtek, and Sunnery James & Ryan Marciano (in alphabetical order) as we Celebrate Life on November 25! Sensation is making it’s return to Dubai on November 10th. Prepare for a night filled with dancing under the starry sky to musical sets played by Danny Avila, Don Diablo, Mr.White, Sam Feldt, Steve Angelo, and Sunnery James & Ryan Marciano (in alphabetical order). Watch as The World’s Leading Dance Event, once again transforms Meydan Dubai into an unprecedented spectacle of music and show elements, and unite with thousands of people, from near and far, all dressed in white. 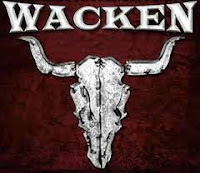 In this installment of 70000TONS.tv we travel to Moscow, Russia where a lucky 70000TONS OF METAL Survivor was selected to interview CHILDREN OF BODOM members Janne Wirman and Henkka Seppälä for #SurvivorsAsk. 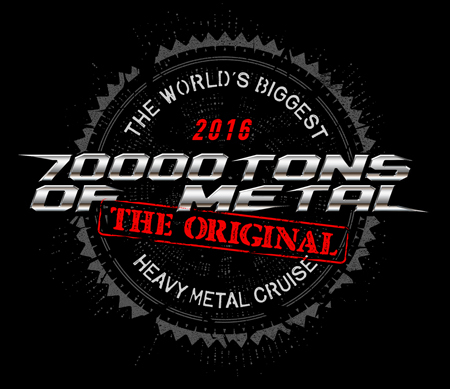 We highlight JAMMING WITH WATERS IN INTERNATIONAL WATERS, the official 70000TONS OF METAL All Star Jam that writes Heavy Metal History every year on board The World’s Biggest Heavy Metal Cruise when a spectacular lineup of musicians from your favorite bands team up to perform classic Metal Anthems for you! Included are interviews with our host and namesake Jeff Waters of ANNIHILATOR, as well as alumni Brian Tatler of DIAMOND HEAD and Max Cavalera of SOULFLY. Our hosts Caitlin and Kim take on the hot pepper challenge, incorporating a twist involving Heavy Metal Trivia. 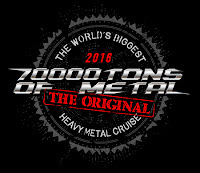 70000TONS OF METAL is The World's Biggest Heavy Metal Cruise - 60 Metal Bands play 120 Shows for only 3000 Fans on one 154,000ton Cruise Ship sailing from Florida to Grand Turk, Turks & Caicos. Are you ready to start next year in style? Round 8 of The Original happens February 1-5, 2018. We entered the night together with the creator of this year’s Q-BASE anthem. 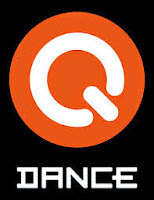 Watch the Noisecontrollers live set now. Swedish crust berserks Wolfbrigade gave rein to their anger inside Bullhead City Circus at Wacken 2017.